I've had a Brinkmann Gourmet electric smoker for a few years now, and have used it with ribs, brisket, whole turkeys, turkey breasts, fish, and an assortment of different wild game. It's not a bad smoker, and it does a decent job smoking some types of food, but it's not what I'd call a great smoker either. This vertical electric water smoker has some good things going for it along with one serious limitation. It's Electric -- As long as you have access to an electrical outlet outdoors, it's a convenient smoker to use. An extension cord can be used if necessary, but it HAS to be made with heavy guage wires, at least 12 gauge for a short extension, and heavier (10 gauge) if the cord is very long. It's Fairly Well Built -- It's not made with heavy duty materials, but it's not lightweight either. The sheet metal of the lid, smoke chamber section and the base are medium thickness metal, and all feel pretty sturdy. The handles are wood (kind of cheap looking, but work well), the cooking rack brackets are pretty solid, and the fit of the lid into the smoke chamber section is acceptable. The finish put on the metal looks nice, and in the 4 years I've owned the smoker, none has chipped or peeled off. It's not great overall, but I'd say it's good quality and well worth what I paid for it (about $60 at the time). If taken care of (kept clean and dry), it would last a long time. Assembly is Easy -- If you can read instructions and use simple hand tools, it's just about a no-brainer. Just follow the step by step directions and it goes together as it should. Good for Light Duty Smoking -- Chicken pieces, fish, pork chops and other small size meats do well in this smoker. It's Underpowered -- The electric element just doesn't have what it takes to smoke bigger meats and poultry. 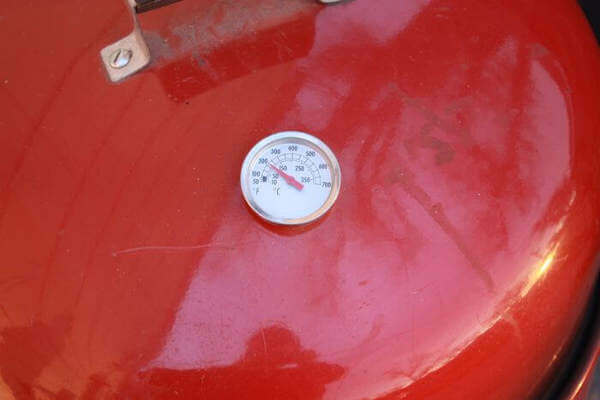 In cool or cold weather, the smoker temperature will barely make it up to 220 degrees, and when the lid is removed to baste or turn the meat, it takes a long time to come back up to temperature. In warm or hot weather it does better, but it's still severely underpowered for serious smoking. No Temperature Control -- Not really an issue, because most of the time it's necessary for it to go full blast just to get up to a low end smoking temperature. But if a person wanted to smoke some fish at 180 degrees, or cheese at 90 degrees, it can't be turned down. Instructions Claim It Smokes 50# of Food -- It looks like it would hold 50 pounds of pork roasts or other big meats, but with the meager output of the electric element, it would take a long, long time to cook. It might be adequate to add smoke flavor to 50 pounds of meat, and then finish it off in the oven. But to actually cook that much at one time would be stretching it. So, would I recommend that you buy a Brinkmann Gourmet Electric Smoker? If you usually smoke things like fish, chicken breasts, sausages and other small meats, it would be fine. It will even smoke the occasional brisket or turkey, as long as you have plenty of time, and it's not too cool outside. But if you like to smoke ribs, briskets and pork shoulders, and plan to use it every weekend, I don't recommend it. For occasional big meat smoking it would be fine, as long as you could put up with the many hours it would take finishing the meat. If you're even halfway serious about smoking, don't get it. 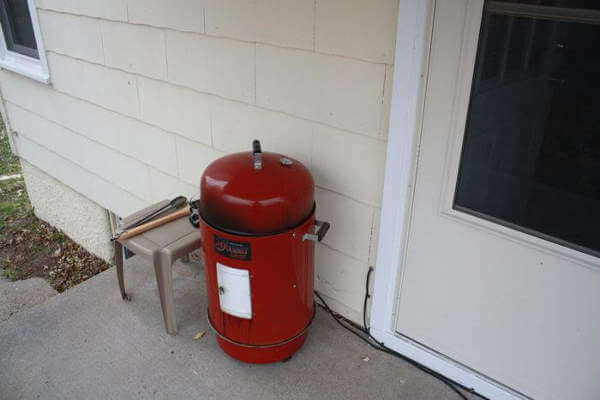 The lack of power will have you frustrated, and maybe even mad at yourself for not getting a better smoker.